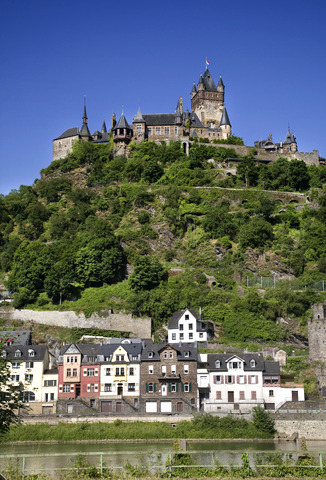 Cochem (pop. 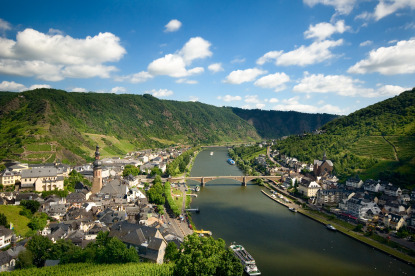 5,000) is a small town situated in a curve of the valley of the Moselle (Mosel in German). 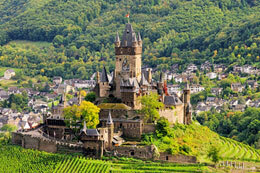 It is capital of the district Cochem-Zell, and the smallest district capital in Germany. 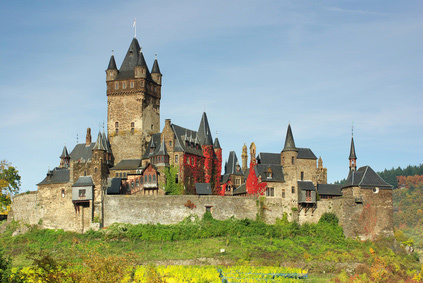 A traditional German town with half-timbered houses and an exceptionally scenic location, Cochem has much to please. 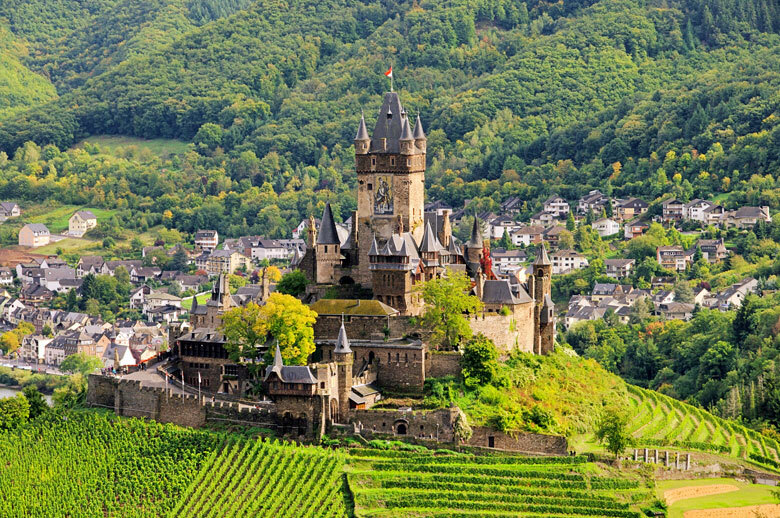 The most compelling attraction is the romantic Cochem Castle (Reichsburg Cochem), perched on a steep elevation dominating the town. Built in 1051, it was destroyed with most of the town by the troops of Louis XIV of France in 1689. The castle wasn't reconstructed until the 19th century. Walking around town sampling its atmosphere is the best way to enjoy it. Buildings of interests include the town hall, the St. Martin church, and Balduinstor (a town gate). The nearby ruins of Winneburg castle are also worth a look. There is an elevated passenger ropeway to the Pinnerkreuz, from where one can contemplate the panorama on the Moselle. 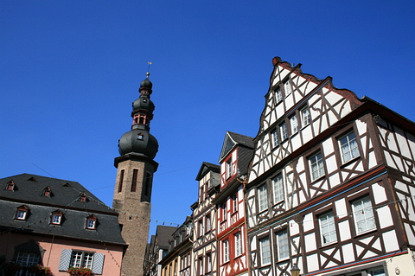 Cochem is situated between Trier and Koblenz. You can either follow the B49/B53 road along the Moselle River (most scenic option), or take the E44 (A48/A1) motorway between the Koblenz and Trier, until exit 2, then go down the hill on the B259 road. There are direct local trains from Luxembourg (1h45min), Trier (50min to 1h10min), Koblenz (40 to 55min), Bonn (1h20min), and Cologne (1h45min).